With the passage of the Americans with Disabilities Act (ADA), most buildings in Central Oregon are required to install signage that offers equal accessibility for people of all abilities. Since some types of facilities are exempt from the law, the actual application of these standards can get confusing for small business owners and property managers. This makes it important to work with professionals who have experience with the requirements. Fortunately, Blue Barrel Signs provides ADA signage for all of Central Oregon. Colors – The law specifies that you must use high-contrast color combinations. This means either light text on a dark background or dark text on a light background. This can incorporate your branding by including your corporate colors. Sign Placement – There are location-specific regulations that govern how ADA signs are mounted, including their height and location. For instance, signs must not be installed on doors. Instead, they should be on the wall on the same side as the handle. A professional sign company can visit your site and inventory what ADA signage you have and what is needed. Braille II – The ADA is clear about how Braille II should be used. We stand by our ability to create markers that are easy for visually-impaired patrons to read by touch. Typefaces and Pictograms – Not all fonts or typefaces are created the same. Certain ones are easier for visually-impaired people to read. These are required by law. In addition, any text or symbols included in your ADA signs need to be slightly raised for tactile reading. Non-Complaint Signage – Not all signs are required to meet ADA guidelines. 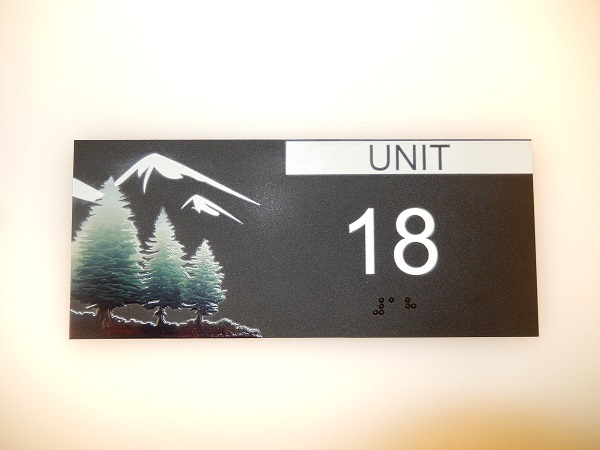 For instance, temporary room identification and name plates are not covered. However, you may still want to include the above style elements to just make it easier for everyone to find their way around. 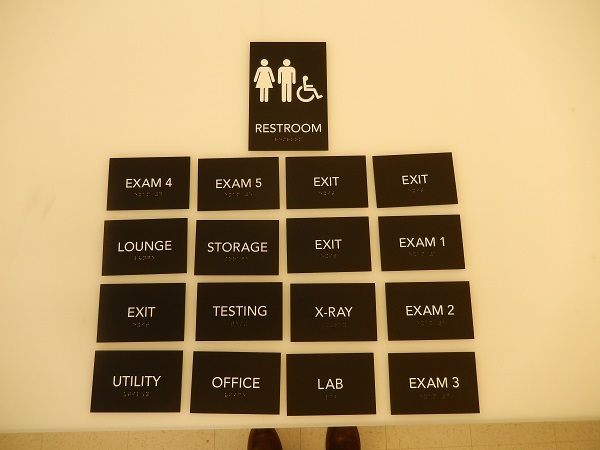 What Facilities Are Required to Have ADA Signs? Ready to order ADA signs? 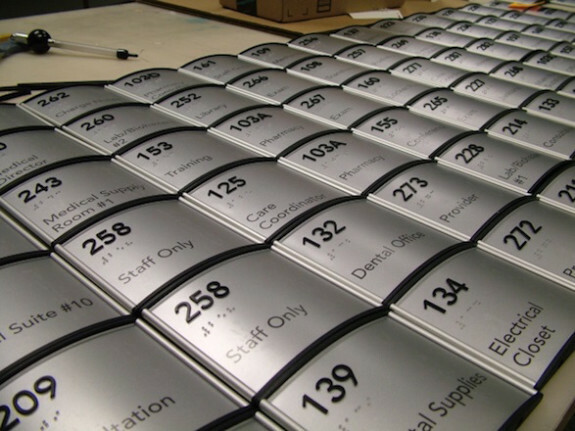 If you are required to have ADA signs, we recommend going with custom markers that feature your unique branding. This way, you will boost your brand awareness while making your facilities a more pleasant place for people of all abilities to visit. From our shop in Bend, Oregon, Blue Barrel Signs is proud to offer ADA sign design, manufacturing, installation, maintenance, and repair services for businesses throughout Crook County, Madras, Redmond, La Pine, Jefferson County, Deschutes County, Prineville, Sisters, and the rest of Central Oregon. Contact us today for a free quote on ADA signs if you would like to find out what we can do for your organization.